The Taiwanese identity is so much more than night markets, a bowl of beef noodle soup, a cup of bubble tea, stinky tofu, braised pork rice and the Taipei 101 – things we here at City543 write about on an almost daily basis. 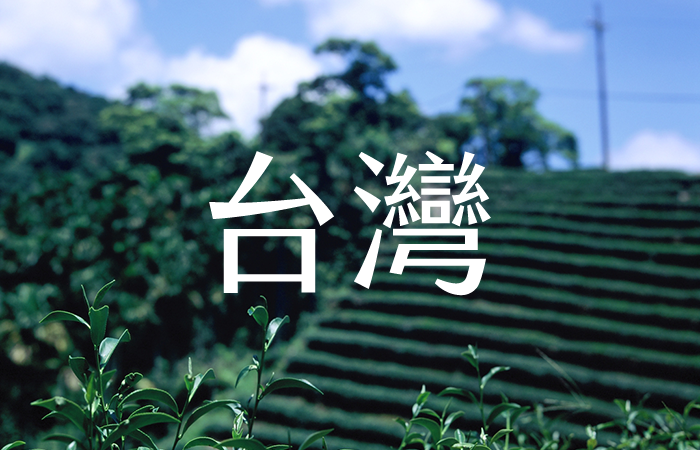 There’s one essential element, which despite being ubiquitous, is often forgotten or overlooked – traditional Chinese characters that we Taiwanese people pride ourselves so much in. Taiwan is only place remaining in the world that has most fully preserved the use of traditional Chinese characters, yet most of the recent font styles used on the island come from Japan, China and Hong Kong. In the past ten years, there were only five Chinese fonts that were created in Taiwan, compared to the some 3,000 fonts made in Japan and 300 simplified Chinese fonts from Mainland China Taiwan adopted during the same decade. It may look as if the writing’s on the wall for the fate of traditional Chinese fonts, but (press) enter (on) a new crowdfunding project we’re very font of. In getting with the Times (New Roman), typography company justfont is launching a new font, Jin Xuan (金萱), that is especially for Taiwan. It’s a bold yet j u s t i f i e d move; typography is omnipresent – it’s on the billboards on the street, in children’s storybooks to textbooks and even in this article that you are currently reading. There’s an art – and arguably, a science – dedicated to it, as typefaces can come to encapsulate personality, identity even. Named after a variety of oolong tea originating in Taiwan, Jin Xuan is a font that, according to justfont, is both rational and emotional, combining the warmth of the Ming (明體) typeface (serif) and the modernity of the Hei (黑體) typeface (sans-serif). The designers chose the name as tea – and tea shops – have become an integral part of the Taiwanese culture, passed down through the generations from the island’s ancient tea drinking tradition. Jin Xuan tea’s fermentation lies somewhere in between heavy and light processes, the same way the font smoothly blends the Ming and the Hei typefaces. The designers wanted to create a font that was elegant and timeless yet fitting for the times, in the hopes that it will become the second default font used for article text. Jin Xuan comes with five typographical emphasis, aptly named after the degree of sweetness one often chooses at a tea shop, from quarter sugar (à la ultra light) to full sugar (à la heavy). But couldn’t the new font have been created sans (serif) an entire crowdfunding campaign – and subsequent national dialogue? Simply consider the amount of characters in traditional Chinese compared to those in English; Western designers need only design some 500 glyphs (letters, numbers, symbols) for each new font, while more than 10,000 glyphs await Chinese designers. Now that’s a Helvetica characters to design. According to justfont, an experienced typographer can design a maximum of 10 characters a day, adding that the process of creating an entire font set would take up to two years. 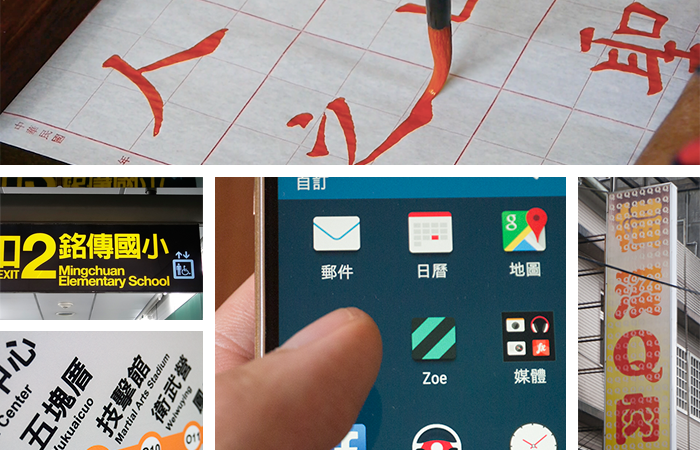 The company argues that the cumbersome and drawn out process has led to a reluctance to create new fonts in Taiwan, a vicious cycle it hopes to end with its flyingV campaign. To say the campaign proved extremely successful would be an understatement. The campaign reached its target NT$1.5 million within 80 minutes of the campaign launch. Pledges have continued to flood in as the campaign has yet to close. According to the crowdfunding platform flyingV, the campaign is garnering an average of NT$252 per second. As of this article’s publication, donations was nearing NT$20 million, which is more than 1,300 percent the original funds required. It’s time to change fonts – there’s a new serif in town, and it’s just our type.